Anxiety is something that affects roughly one in every five Americans and is an epidemic of epic proportions which people can find hard to treat effectively. When it comes to conditions like General Anxiety Disorder (GAD), and depression, the only pharmaceutical option offered by doctors is powerful, addictive and toxic medications such as Valium or Xanax. But many people who suffer from anxiety want immediate relief and they want it to be as natural and non-toxic as possible. CBD Oil for anxiety is one method that’s getting increasingly popular year on year. While the use of CBD oil for anxiety is a relatively new concept, other natural herbs and flowers have been used in the past, like St John’s Wart, with a solid amount of success for some people. CBD is a compound from the cannabis plant which is associated with calmness and wellbeing. Many people who buy CBD Oil find it helps with the symptoms of anxiety and can bring peace and comfort – a little like a rescue remedy – with immediate and long-lasting effects. A number of clinical studies have also made a connection between CBD and anxiety relief. A 2015 CBD for anxiety study, for example, carried out at the New York University School of Medicine found that unlike other anxiety treatments, CBD oil was had zero anxiogenic or anxiety-inducing effects like some medications have. The fact it is organically grown, 100% natural and non-addictive also makes it a great option for many. CBD comes in various forms for consumption, but finding the best CBD Oil to buy can be tricky and that’s why it’s well-worth checking customer reviews before making a purchase. 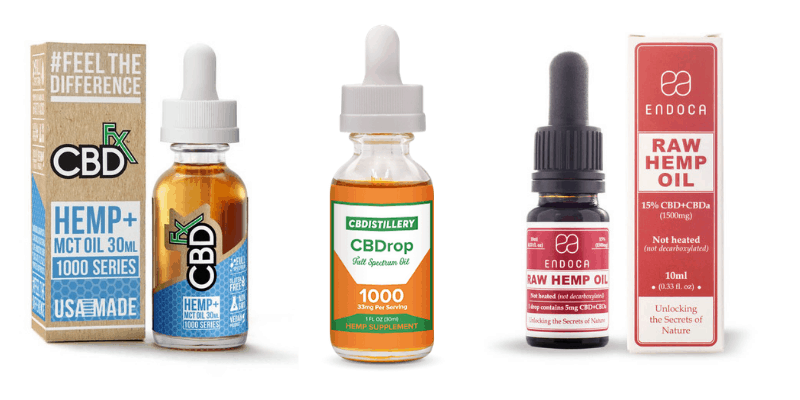 That said, we are happy to present to you three of the best CBD oils to buy from three of the biggest and most reputable names in CBD. While CBDfx is one of the biggest names in the world of CBD, the CBDfx 100mg Tincture Oil is a great option for sufferers of anxiety. Many people opt for the 1000mg CBD concentration option, favoring it over the 500mg option which is associated with treating things other than anxiety. That said, it’s for the customer to experiment a little, in order to find the perfect CBD concentration that hits their personal sweet spot. 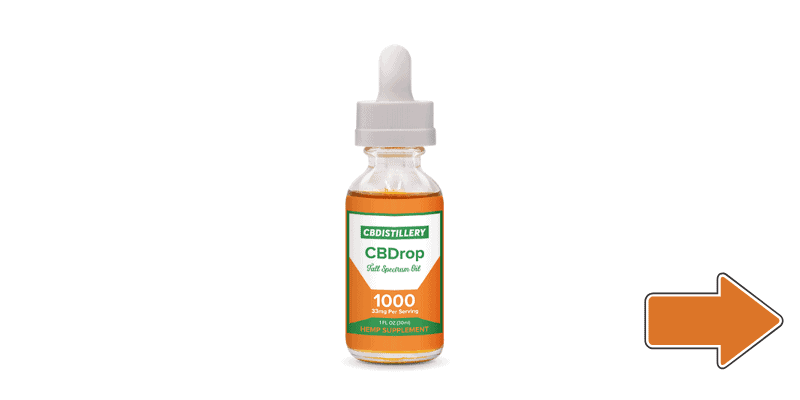 The other consideration is that the CBDfx 100mg CBD Tincture Oil is more cost-effective than the lower concentration option as it’s double the strength. CBDfx claims that their CBD Oil Tincture is one of the best-quality CBD products on the market today. It’s what’s known as Full-Spectrum CBD, which means only the very best parts of the cannabis plant are used in their production process. At the same time, the plants used in this product are all grown in the best farms in Europe, with no pesticides, harmful chemicals or other fillers. The other fact that CBDfx note is that this plant-based solution offers zero psychoactive effects and comes in a handy 30ml dropper bottle. Their products are also cGMP-certified and manufactured in the USA. CBDfx 100mg CBD Oil is lab tested and many people who have tried it rave about it online. 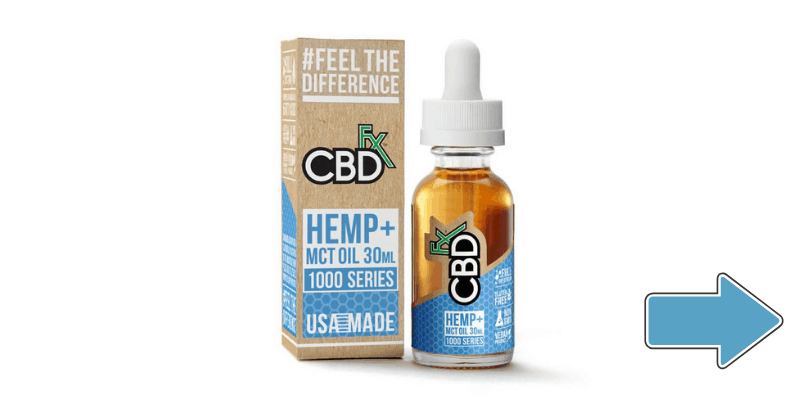 When purchasing products from companies as big and reputable as CBDfx, much of the guesswork is removed and you can rest assured you are getting the very best CBD anywhere in the world. Another big name in the world of CBD is CBDistillery. The CBDistillery 100mg tincture is 100% pure and natural and provides quick relief for the symptoms of things like anxiety. This product contains no added chemicals or dyes and can be added to your favorite food or beverage or simply popped under the tongue for the fastest-acting option. CBDistillery’s 1000mg oil contains pure, high-grade CBD as well as other naturally-occurring cannabinoids and terpenes. While this tincture won’t get you high in any way, it leaves many people feeling calm and stress-free, especially those who suffer from anxiety on a regular basis. Each convenient 30ml bottle is packed full with 100m of CBD, is pesticide-free, and comes from non-GMO Industrial Hemp Oil. Their tincture is extracted from the mature stems and stalks of the crop and also contains Coconut MCT oil as a Carrier Oil. Packing a punch of roughly 3.3mg of CBD per drop, they recommend starting with a small amount and tapering up till you hit your own personal sweet spot. The label recommends 0.5ml as a good place to start – which equates to roughly half a dropper full of liquid. The effects of CBDistillery’s 100mg CBD oil are strong. And at the level of dosage already mentioned was very effective at treating anxiety and offering immediate relief. For those who wish to use CBD for things like pain relief and to treat insomnia, the dose would need to be significantly higher in order to feel any real effects. What’s for sure is that when you buy a product from CBDistillery, you are guaranteed to receive only the finest CBD available today, and their customer service and delivery times are also second-to-none. 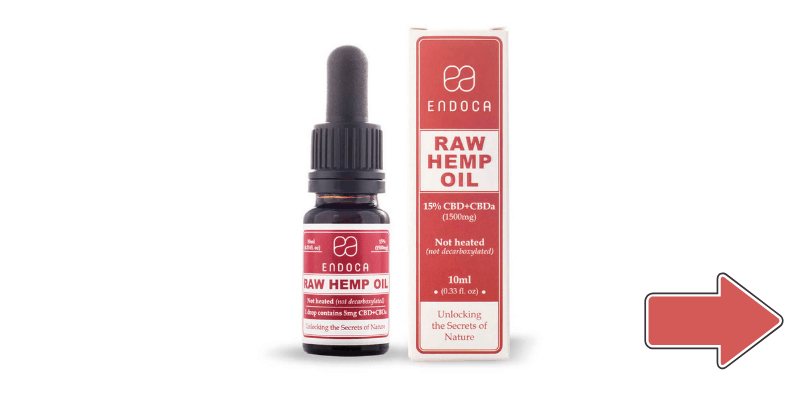 The founders of Endoca made the connection between CBD and health after spending time in Africa while learning about the AIDS epidemic there at the time. The main founder’s grandparents were hemp farmers in Denmark and Endoca was created from some seriously strong roots and philosophies. If you’ve had an experience with CBD you will most likely have heard of Endoca. They have a huge online presence and pride themselves on delivering the very best CBD products to their satisfied customers around the world. Endoca Hemp Oil Drops 1500mg, also simply known as Endoca Tincture, is a fantastic addition to your alternative medicine cabinet. The Endoca 1500mg Tincture is considered to be one of the strongest of the bunch, and each bottle contains 1500mg of finest-CBD. There are no preservatives or artificial colors in this gluten-free, vegan and non-GMO product. That makes the Endoca Tincture about the cleanest products around in the world of CBD. This product also contains Hemp Seed Oul, Omega 3, Omega 6 and Vitamin E. And while some folks use this product to treat anxiety – ensuring they take only half a dropper of liquid – those looking for stronger relief from things like pain or insomnia will need to take a higher dose for full effect. If you are wanting to try CBD out for your anxiety, Endoca is always a great place to start as you are assured of best-quality, best-priced products as well as fast delivery times and great customer service. When choosing the right CBD product for you, it’s important to do your due diligence and try to ascertain in advance which product best suits your specific needs. While lower doses of CBD are usually taken for anxiety, higher doses need to be taken for more serious or chronic conditions.